Lean Thinking: One for Ed Deming – Learn the Profound System of Knowledge! One for Ed Deming – Learn the Profound System of Knowledge! Tip of the hat & a deep bow to Ed Deming, the great American quality guru, who coined the above term, and gave us so much more. Nowadays, some call it Toyota Production System, others ‘Lean’, yet others ‘Lean Six Sigma’. But I have a soft spot for Deming and for ‘profound system of knowledge’, a rich phrase which harkens back centuries. As far back as Aristotle and the Athenian Agora, some say. How do systems behave? What laws govern their behavior? How do we create order out of chaos? What is systems thinking? How do we apply it to get better outcomes? What is the nature of human relationships? How do we develop our team members? How do we motivate our team members? What are the causes of variability of work, in planning and problem solving? What are the laws of variation? How do we create a learning environment? And everything is connected to everything else. Creating order in chaotic systems, for example, requires a deep understanding of why people behave as they do, how people learn, and of the laws of varation. Good stuff, no? And worthy of a lifetime’s study and practice. Thanks, Ed, again and forever. Trust the martinis are good in the Heavenly Bar, and the company diverting. 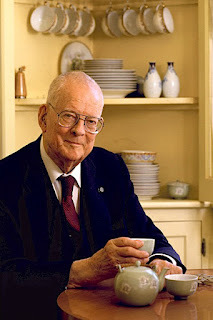 Deming's 14 Points is a total quality management (TQM) concept.